Kurt Cobain was arrested by Aberdeen, Washington police in May 1986 and charged with trespassing while intoxicated. 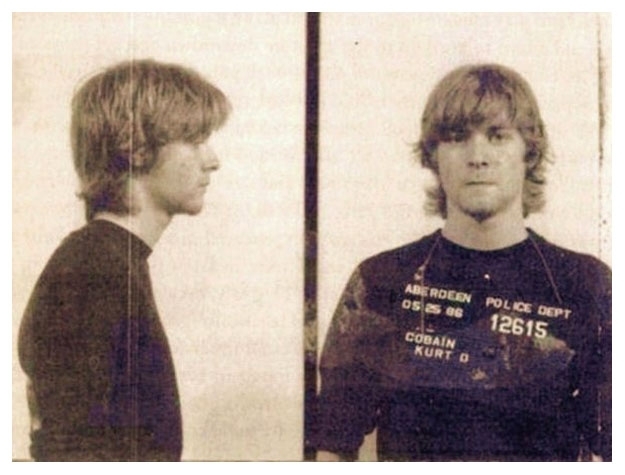 The misdemeanor bust was not the Nirvana founder's first brush with the law. The musician had been arrested in Aberdeen a year earlier on a vandalism count. Submitted by Arty Ziff on Sun, 2010-12-05 12:51. I wonder if the crime scene photos form Cobain's departure have ever made it out on the Interwebs? Submitted by tjf4569 on Thu, 2010-10-21 23:13.